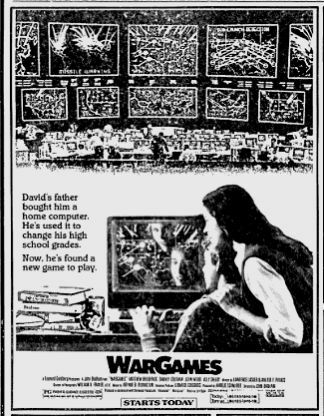 Here's an ad for the classic 1983 movie, War Games, starring Matthew Broderick and Ally Sheedy. In the movie Broderick's character, David Lightman, is a video gamer. You see him playing the game Galaga several times (it's even in the trailer below).